This property intrigued scientist and they focused on a certain microbe, the strain GFAJ-1 . This strain exists in the mud of the remote Mono Lake in California. 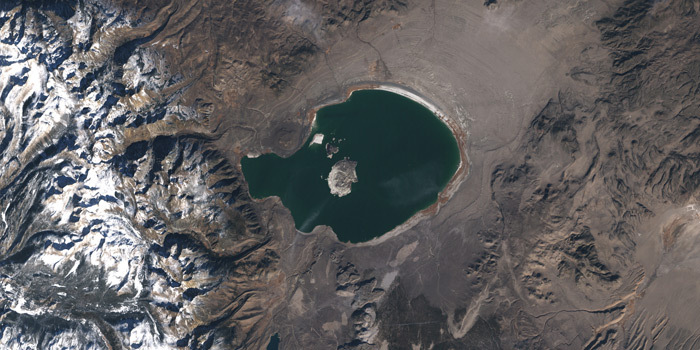 This lake is isolated from fresh water for over 50 years and its environment is quite unusual from a chemical point of view, with high salinity, high alkalinity, and high levels of arsenic. The researchers cultivated microbes from the lake with nutrients very low on phosphorus and very rich in arsenic. Gradually phosphorus was completely eliminated but the microbes continued to grow. The DNA replicating process was functional but instead of phosphorus the backbone of the DNA chain used arsenic to produce the building blocks of new GFAJ-1 cells. It is worth mentioning that this discovery didn’t occurred by accident. The researchers were targeting exactly that concept and they chose a microbe adapted for living in such an extreme environment. The lake Mono was the nearest place where these conditions could be found, it almost certainly isn’t the only one on Earth and of course in the universe. The most obvious is the new grounds in biology, however there are two indirect results. The most hyped one is the astrobiology aspect; the basic conditions for the existence of life are now expanded. For example planets or satellites even within our solar system may be able to sustain life even without phosphorus. There is also an enlarged arsenal of raw materials for the creation of specific engineered microorganisms for industrial use, ex. decontamination. The concept of non-standard DNA life exists for a long time now. A popular concept science fiction or speculation is the Silicon based lifeforms but this is the first time we are confronted with a living proof.